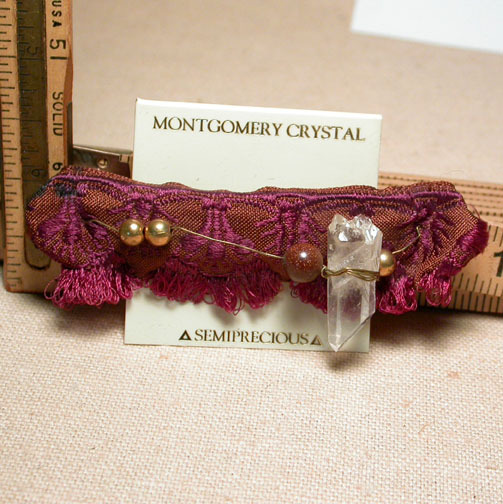 This rich woven and ruffled plum and chocolate tapestry's the perfect romantic compliment to our handwrapped clear Arkansas rock crystal, goldstone and goldfilled beads. 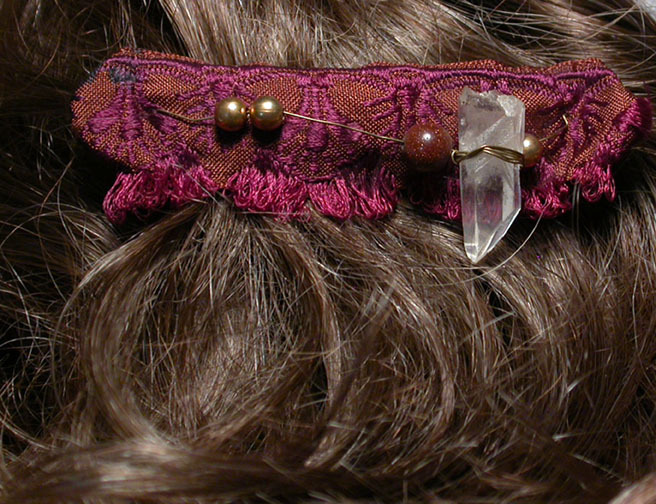 On a 3-1/4" large French clip barrette, we expect the compliments to be all yours! Strong and secure..the channelling crystal AND the barrette. Sent gift boxed with handwritten description on the reverse of our enclosure card. Please ask ahead if you'd like a pair. Shipping will be added.